FOREST CITY, IA--(Marketwired - March 01, 2016) - Winnebago Industries, Inc. (NYSE: WGO), a leading United States (U.S.) recreational vehicle manufacturer, has placed an emphasis on innovation and new features to become the top manufacturer in the Class B motorhome market. "We recognize that today's active users will embrace products and features that support an active and healthy travel lifestyle," Winnebago Product Manager and Travato owner Russ Garfin said. "With the tremendous response we have received from consumers, we are empowered to continue introducing these types of innovations." "These coaches also offer an easily expandable solar charging system that gives owners the ability to effortlessly and economically ramp up solar power for increased usage off the grid," Garfin said. As a result of the growing number of Winnebago Touring Coach owners, a new WIT Club special interest group called the "Winnie Bs" has been created. Linda Calabrese is a Travato 59K owner and one of the founding members of the club. She and her husband Tom noticed a red Travato on the cover of an RV magazine and soon visited a dealership to take a look. They toured a Travato 59K and fell in love with many of its features such as the compartment in the floor, reading lamps, spaciousness, solar power capability and the microwave/convection oven. "When I stood at the sink and took it all in, I knew I loved this camper," Linda Calabrese said. "You can move around, you can see from front to back, you can get to the bathroom in the back without disturbing another sleeper..."
"We have given an average of two tours a day whether at a campground, a grocery store, a gas station, a friend's driveway or at church," Calabrese said. "People are drawn to this rig because it's especially beautiful. We always tell them the truth -- it's a Rock Star." Winnebago Industries, Inc., "The Most Recognized Name in Motorhomes, ®" is a leading U.S. manufacturer of recreation vehicles, which are used primarily in leisure travel and outdoor recreation activities. The Company builds quality motorhomes, travel trailers and fifth wheel products. Winnebago Industries has received the Quality Circle Award from the Recreation Vehicle Dealers Association every year since 1996. The Company's common stock is listed on the New York and Chicago Stock Exchanges and traded under the symbol WGO. Options for the Company's common stock are traded on the Chicago Board Options Exchange. For access to Winnebago Industries' investor relations material or to add your name to an automatic email list for Company news releases, visit http://investor.wgo.net. 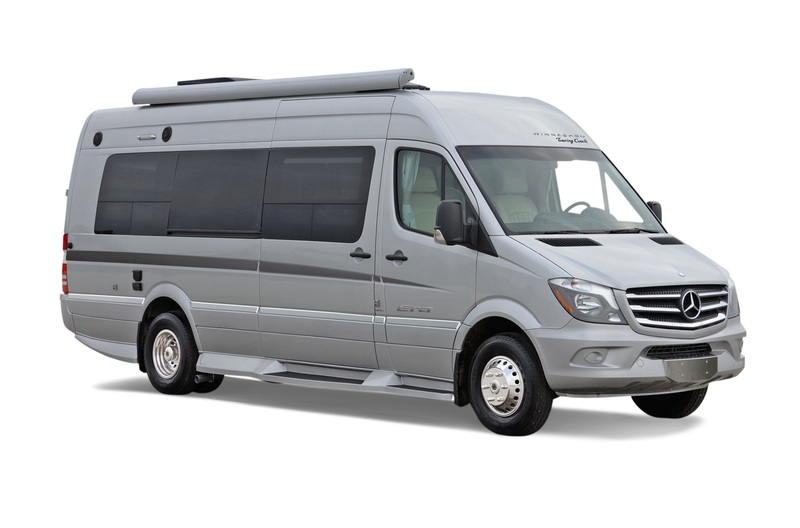 The Winnebago Touring Coach Travato offers amenities that help enhance an adventurous lifestyle. 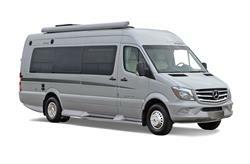 The Winnebago Touring Coach Era offers fuel efficiency and maneuverability.